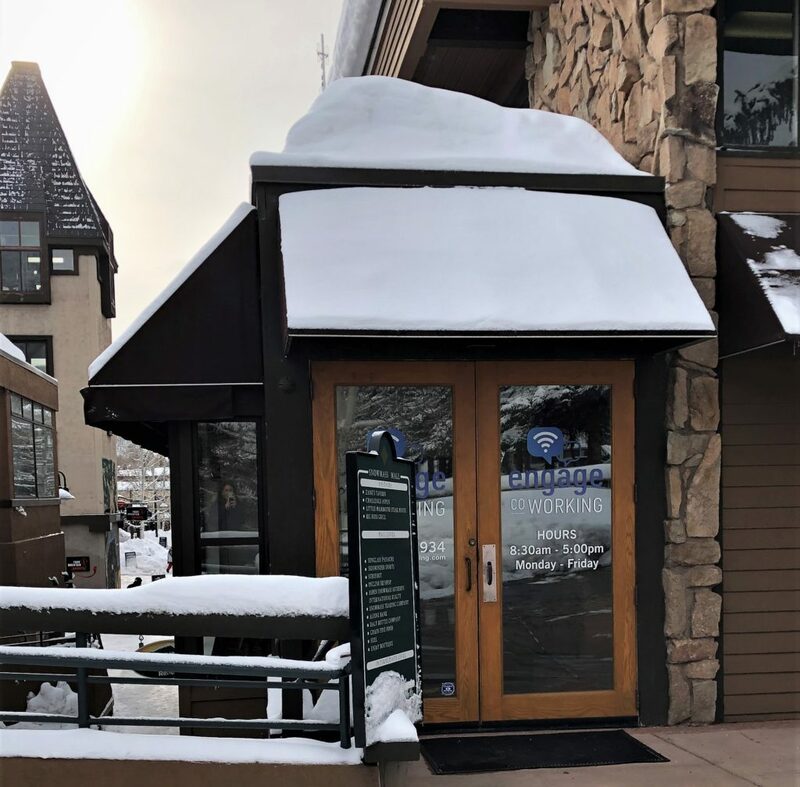 Engage Coworking has just joined the Proximity Network in Snowmass Village, CO. Engage shares a slope with world-class skiing, and it’s the perfect place to work and play! Community Manager Kerri Johnson filled us in on the details of their new coworking space! We had our soft opening in early February. We plan to have our Grand Opening party on April 4th and could not be more excited! We are located in Snowmass Village, Colorado, on the Snowmass Mall which is slope side to world class skiing. Our members can come work for a few hours, grab their skis, bikes or hiking shoes and head out the door for a quick ski or ride when they need a break. They can come back and get cleaned up in our bathroom that includes a shower. Our space is roughly 3450 sq ft and it’s finished with high-end materials. 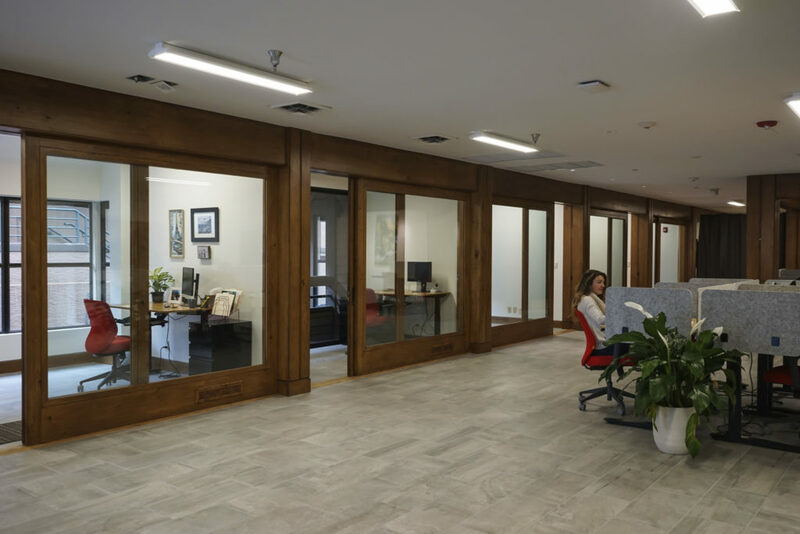 Our floors are slate and hardwood, we have hardwood trim, sliding and locking office doors, three restrooms (one with a shower), and our desks are all sit/stand desks. We have a “living” area with a couch and chairs for a more relaxed work area. 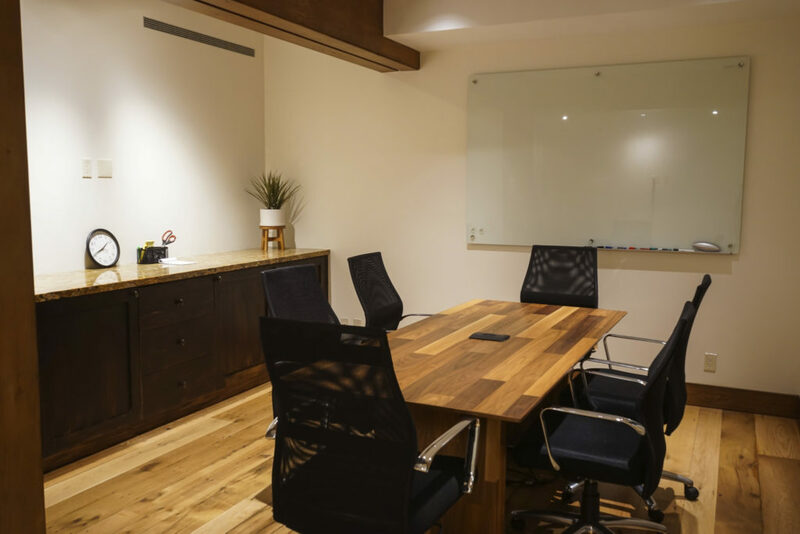 Our conference room has a nice wood table with 6 seats, a whiteboard and television screen. In the future, we plan to add more furniture with a tall and long pub table, more desks, and an additional conference room. We will add phone booths as we get busier. We also have locker rentals to store ski gear, or whatever needs to be stored inside our space within the locker confines. I love learning something new every day. 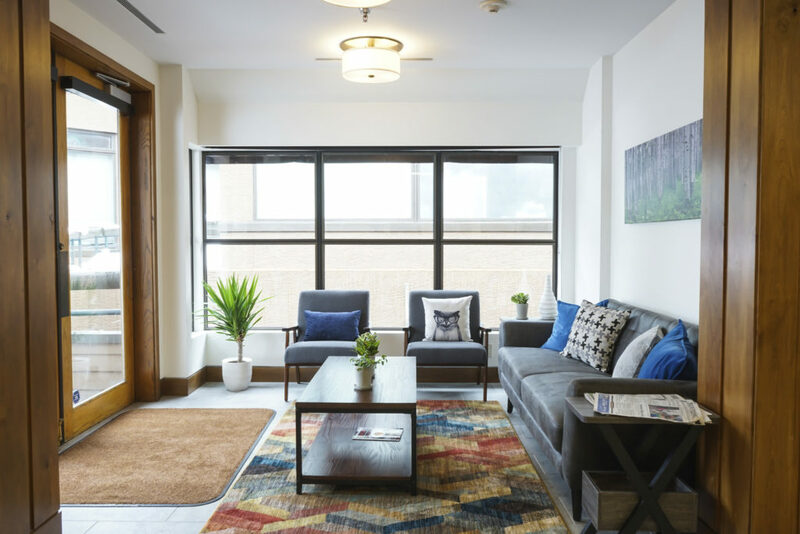 My favorite thing about operating Engage Coworking is meeting new people from all different aspects of life and areas of the country that come in to work or look at the space. I find it interesting to hear what people are doing for work and/or for adventure. I can’t say it’s a favorite thing and I don’t know if I should tell you what it is. Let’s just say people tend to get very comfortable here sometimes. Give yourself plenty of time to get your space set up for business. It’s not something that can happen overnight.